But Vector Marketing is keeping the tradition alive. 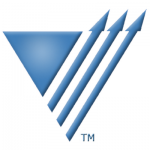 Vector Marketing is a popular network marketing company that sells Cutco knives. You’ve probably had someone approach you to buy a new knife set and they were likely from Vector Marketing. They’re those sharply dressed door-to-door sales guys making generous commissions on Cutco knife sets. Or, more likely, college students trying to make some extra money. Vector has been around for quite a while, and they don’t seem to be falling out anytime soon since they actually have a legit product. But should you get involved? Keep reading to find out. 1. What does Vector Marketing sell? They sell kitchen cutlery, kitchen tools, and sporting knives. 2. What are Vector Marketing’s most popular products? The knife block sets are a big investment, but they come with a “Forever Guarantee” and free sharpening anytime. The Ultimate Set includes 32 pieces and an oak block with either a honey or cherry finish. The Homemaker Set has 10 pieces. The Space Saver Set includes 5 knives. And the Studio Set has 4. All of them have quality cutlery that any cook would love to have in their kitchen. 3. How much does it cost to join Vector Marketing? There’s no cost to join. You need to complete your training to become a sales representative, then they’ll loan you a Cutco sample set that you can use for demonstrations. As long as you’re active in the business, you can borrow a sample kit to show customers. If you quit, just return it. 4. Is Vector Marketing a scam? No, they’re a legit business selling real products. What’s smarmy is their sales tactic of recruiting college students who are often willing to do anything for a little extra money. And because they don’t describe the opportunity as an MLM, they end up getting sued. A lot. Either way, here are 12 truths about Vector Marketing you should know before you join. Vector Marketing sounds like an independent marketing agency, but it’s actually the marketing and sales wing of Cutco Cutlery, a manufacturer of high-quality knife sets. They’ve been around for over 65 years, and they’re headquartered in Olean, New York. They also do incredibly well in their sales and marketing. Over 15 million homes in North America have Cutco products in their kitchen. If you’ve been a student in the past 10-20 years, or are the parent of a high school or college student, there’s a good chance you’ve seen those little envelopes from Vector Marketing offering job interviews. While they send out job and interview “offers,” like most MLMs, anyone can become a distributor. You don’t have to have a specific major or any work experience. Some would call this a smart recruiting strategy, but others consider it predatory. While they’re most widely known in the United States, Vector Marketing has been growing their presence and sales in Canada for the past 25 years. I’m not really sure how they swing this one. While their distributors are starting to utilize virtual channels for marketing and sales, they still rely largely on in-home appointments for selling their product. But in-home appointments are no longer very effective for sales and marketing, and haven’t been for years. People have become more and more wary of letting strangers into their homes, or even opening their doors to strangers, so it just doesn’t work like it used to. On top of that, this company is selling knives. Would you let a complete stranger into your home to show you their knife set? Distributors are offered a guaranteed commission on each in-home appointment they attend, even if they don’t sell a single product. This is almost unheard of in MLM. They often market this on their recruitment advertisements as a “guaranteed base pay,” calming the worries people have about working solely for commission. The amount is $17.25/appointment. They have to be showing the Cutco products to “qualified customers.” This is not defined on their website. Also, because sales reps are independent contractors, they’re not reimbursed for the money they spend on things like gas or public transportation, which can sometimes add up to as much as the base pay for a given appointment. Still, it’s something, and it’s closer to base pay than any other MLM offers (see: Mary Kay, Avon, or Sentsy). Their commission rates are embarrassingly low – 10%. Vector Marketing has continually ranked as a top MLM. With most MLMs, the work is 100% remote, and training is mostly virtual unless you’re lucky enough to be able to afford to go to the annual training conventions. But Vector Marketing has 250 year-round district offices in the United States, Canada, and Puerto Rico. They also open up hundreds (this year over 450 in all 50 states) temporary branch offices to accommodate their summer workforce. Accomplished student sales representatives have the opportunity to become summer branch managers, where they manage teams of 30+ salespeople in their area. Many of these branch managers are 18 or 19 years old, so while they might not always make bank, it is a leadership opportunity that they probably won’t get anywhere else. They used to charge new reps a deposit in order to loan them a knife set for sales purposes, but now they loan the knife set free of charge. Reps can keep this set for showing purposes as long as they remain active, and they simply return it to the company when they don’t want it anymore. They don’t have to buy any inventory in order to make sales. This is fantastic, especially for students, who can’t really afford to invest in a $300 monthly autoship. Vector Marketing has a rep for spamming students in every way, shape, and form possible in order to recruit new reps. They send non-stop emails, letters, make constant phone calls, and even attempt to contact potential recruits through Facebook and other social media channels. Not a small number, although it is exponentially smaller than the amount of sales reps Vector still manages to recruit every year. Vector Marketing is a little different in that they claim not to be an MLM at all. According to them, their reps can earn incentives and prized for recruiting new sales reps, but they don’t get paid on a multi-level downline. Call it what you want, but the concept remains. Sell as many products as you can to your warm market (friends, family, coworkers). But after those run out, then what? Not saying it’s impossible to make money, but don’t expect a substantial passive income stream.